Length of brooms vary from 24 to 36 inches long. Price varies depending on the length and cost of decorations. 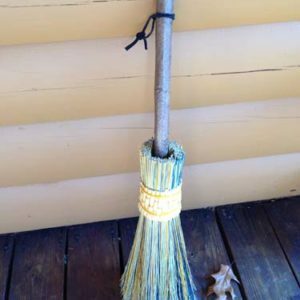 These custom hand made besom brooms are created from willow branches grown and harvested here at Serendipity Meadows. 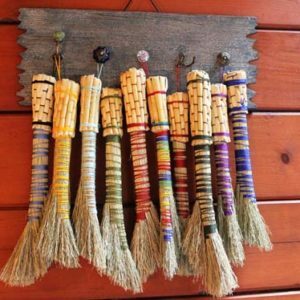 The broom handles are crafted from various types of wood and are decorated with hemp, leather cording and crystals as desired. 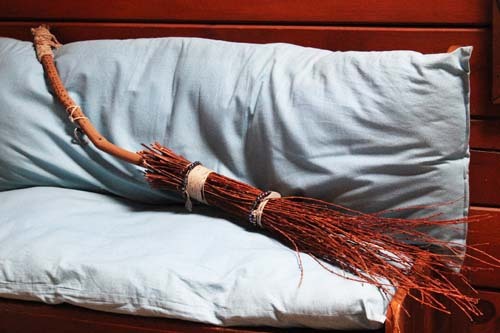 These brooms have many uses: decoration, rituals, weddings for Jumping-over -the broom ceremony, and Halloween. Length of brooms vary from 24 to 36 inches long with a price range of $24 to $43 depending on the length and cost of decorations.